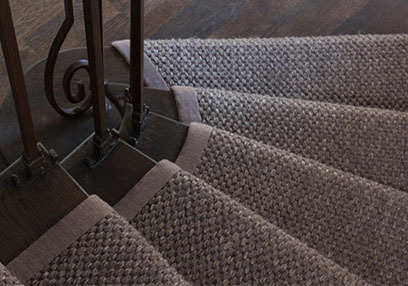 Natural sisal carpet staircase runner on the curve stairway. It is a natural fiber grows in the warm and tropical places beside the sea shore. 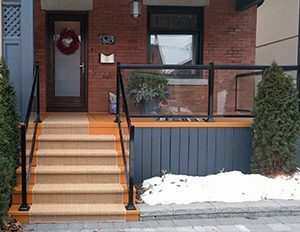 This product is very strong and long lasting and durable easy to maintained. 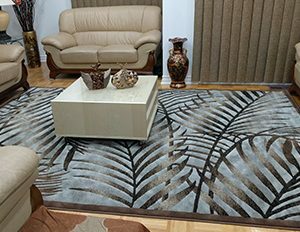 Sisal carpet is very common use in home floor decor and hall and staircase carpet runners and custom size area rugs. Solid plain colour natural look elegant versatile product can be use for any home. Professionally installed. 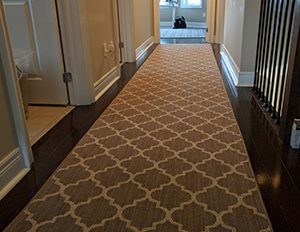 Custom size rugs and runner for stairs and hallway.